When infants and very young children get tooth decay, it is known as baby bottle tooth decay. This is a condition which leads to tooth decay because of the deposition of sweetened liquids or natural sugars (like milk, baby formula or fruit juice) on a baby’s teeth. These liquids provide an environment where bacteria can thrive and produce acids which damage the baby’s teeth. Many parents also make the mistake of dipping their baby’s pacifiers in sugar syrup to make their baby happy. But in the long run, this causes tooth decay. If you want to pamper or sooth your baby, find another way of doing it other than using sweet foods and liquids. Don’t give a sweet drink before a nap because the sugar particles nestle in your babies teeth and thrive because saliva production is decreased during sleep. Baby bottle tooth decay usually affects the front teeth, but the other teeth in your baby’s mouth can also be affected. 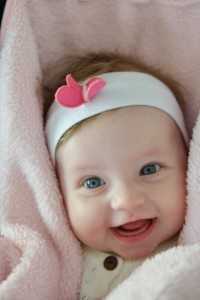 Baby teeth are a very important aspect of your baby’s overall health. They also function as placeholders for your baby’s permanent teeth as well as determine how permanent teeth will sprout. Baby bottle tooth decay is a very painful condition and can cause a lot of discomfort to your baby, so it is very important that you take extra care to ensure that your baby has healthy teeth. The bad effects of tooth infection and decay are poor eating habits, speech problems, crooked teeth and damaged adult teeth. All of these problems are extremely serious because they’ll keep affecting your child even after he or she grows up. Following these simple steps will save you a lot of trouble and help keep your baby happy and healthy. Baby bottle tooth decay is a serious dental condition which impacts millions of babies around the world. Tooth decay that happens in childhood will also have far-reaching consequences into a child’s adult life, making it imperative to prevent it as part of holistic healthy upbringing. As a parent, the above mentioned are some of the things that you can do to ensure that your baby doesn’t suffer from tooth decay. It’s important to be vigilant over your baby’s dental health to ensure that his or her mouth does not become a hearty home for bacteria.